The North York Hockey League was privileged enough to chat with Mark Napier recently about some of his experiences in hockey. Mark Robert Napier (in North York, Ontario) is a retired former professional ice hockey player who played over a thousand professional games between the National Hockey League and World Hockey Association. An alumnus of the Toronto Marlboros organization, Napier turned pro as a teenager for the Toronto Toros of the WHA and also played for the Birmingham Bulls. 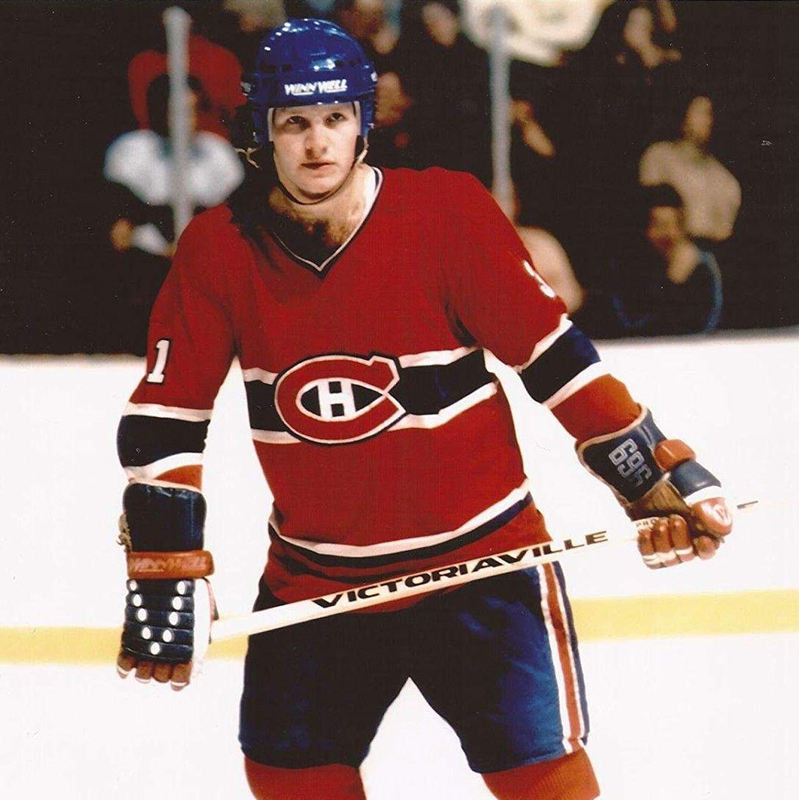 After the WHA folded, Napier joined the Montreal Canadiens, winning the Stanley Cup with them in 1979. He also played for the Minnesota North Stars before joining the Edmonton Oilers, winning his second Cup with them in 1985. In 1987, he was traded again, and would finish his career in North America in a Buffalo Sabres uniform before playing three seasons in Italy. After his career ended, Napier spent a couple seasons as head coach of the Toronto St. Michael’s Majors of the Ontario Hockey League. He is now president of the NHL Alumni Association. The NYHL thanks Mr. Napier very much for his time. What minor sport/sports were you active in as a kid? Hockey, Baseball, Soccer, Track and any schoolyard game you could think of. What was the most defining moment in your involvement in minor sports? Going to the Quebec Peewee tournament. Another fond memory was going to the peewee All Ontario Championships. I played for the Don Valley Shopsy’s which my father coached. The championships that year were in Sault St. Marie. I loved playing hockey. I was so passionate about the game and I played every opportunity I had. My father started the league at York Mills. I played house league there and at the time it was outdoors. I had to play goal on the coldest day of the year. How to be a teammate and to get along with others. Hockey taught me how to be a cooperative person. Absolutely! It is a life school that I use in my job today. What was your achievement that made you most proud? Winning the all Ontario Peewee championships. It was a great feeling for an 11 year old kid. Was there something you always wanted from your career that eluded you? Not really. I won two Stanley Cups and played for 18 years. I was also able to retire on my own terms. What was your favorite NHL building to play in and why? Maple Leaf Gardens. It was always nice to come home and play in front of family and friends. I also played there for the Toronto Marlies and the Toronto Toros of the WHA. What was your most memorable moment in the NHL? My first Stanley Cup championship with the Montreal Canadiens in 1979. How did you get involved in working with the NHL alumni? Rene Robert had left the position and a search firm asked me if I would be interested in the job. It teaches children life lessons such as discipline and hard work. Team sports teach cooperation factors for life skills. Always have fun. For all the hockey players, skate as much as you can, and play ball hockey whenever you get the opportunity. Do you believe it is healthy for kids to play hockey all year round, or should they participate in other sports as well in the off season? Definitely play other sports as well. This will avoid burnout down the road. Always remember to have room for family time as well. Let the kids have fun. The odds of going to the Olympics or NHL are so slim so remember not to push your children to hard. Kids will let you know what they really desire. There is way too much emphasis on winning and losing. Thanks again to Mark Napier for his time! We’ve had Face to Face chats with all sorts of pro hockey players! Read more interviews with the pros.